Log into the eResearch Regulatory Management (ERRM) system with your uniqname and UMICH password. When finished and ready to submit, click "Submit" or "Submit Changes" from the Activities menu on the left hand side of the page. If you do not see the state change to "IBC Staff Review", you have not submitted your application. For step-by-step system instructions, see the eResearch Help documents in References & Resources. Do not use eResearch to apply for approval. Call 734-936-3934 for a separate application form. The IBC BSL3 Subcommittee reviews this work. 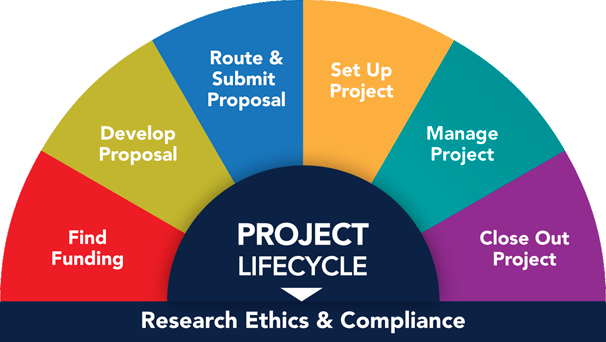 The IBC reviews your project via your IRB Application. See Human Gene Transfer Proposals for complete information. Any U-M investigator planning a research project that involves recombinant DNA (rDNA) or synthetic nucleic acid (SNA) molecules must submit an application for Institutional Biosafety Committee (IBC) review and approval before initiating the work. U-M investigators must also register their work with other potentially hazardous biologics. An initial application to obtain IBC approval for a three-year period. Amendment(s) to obtain approval for changes to the research. Renewal(s) to extend IBC approval for ongoing work for another three-year approval period. Allow 3-8 weeks for IBC review, considering the submission date in relation to the IBC meeting schedule, and the availability of the PI to respond to any requests for clarification from the committee. In order for the IBC to issue approval for work at BSL2 containment, the laboratory where the work will be performed must have had a satisfactory biohazard inspection by U-M Environment, Health & Safety (EHS) within the past 12 months (including the resolution of any corrective action items). See the EHS web site for a complete inspection checklist. If you are proposing work for BSL2 containment or above, then, at the same time you initiate your IBC application, contact EHS at 734-647-1143 or BioSafetyInspections@umich.edu to schedule your lab inspection. Although the IBC can review your application before your lab inspection is complete, it will not issue an approval until EHS has inspected your lab and you have corrected any identified action items. IBC approvals are valid for three years and must be renewed if you intend to continue the work described. Do I need different IBC applications for different work? Investigators register once with the the IBC, and an approved application is valid for three years. You should submit an amendment if your work with potentially hazardous biologics (including rDNA/SNA) changes, and you will need to renew your registration before expiration. Do I have to register for PCR work? You need to register the work with the IBC if you are cloning the PCR product first, prior to sequencing. The direct sequencing of PCR products does not need to be registered with the IBC - as long as there is no cloning involved. Can I use another investigator's IBC application if we share lab space? In some cases you can. Investigators sharing laboratory space may also share registration and training obligations. The work may be registered either under the investigator in whose lab the work is occurring or under the principal investigator of a project. For example, investigators in charge of labs where work involving potentially hazardous biologics occurs are responsible for ensuring that there is a application with the IBC for all the work involving these potentailly hazardous biological materials that occurs in their lab space. In addition, they must maintain documentation of the training status for all the individuals working in the lab with these potentially hazardous biologics at BL2 containment. Do I need an IBC application for work involving potentially hazardous biologics performed in my colleague's lab? Principal investigators who are not themselves registered for BSL2 work, and who are having this work performed in another investigator's lab, are responsible for ensuring that it is occurring in a laboratory that is registered with the IBC for that type of work and that it is conducted by individuals who have received training for the work they are performing. IBC Application Tasks A guide to accessing and viewing your IBC Application (IBCA) in eResearch during the submission, amendment, or renewal processes. University of Michigan Vector Core The Vector Core produces biological products (gene transfer vectors) that facilitate the transfer of specific genes into cells and provides intellectual and technical advice to researchers regarding the use of these products. For more information about the registration process, call 734-615-9637 or e-mail the IBC Staff. Contact U-M Environment, Health & Safety (734-647-1143) to schedule a lab inspection. Before approval will be issued, your lab must have been inspected within the last 12 months and any corrective actions must be completed. Submit application by last Friday of the current month for consideration at IBC meeting on 3rd Friday of the next month. For an rDNA/SNA registration form, email IBCstaff@umich.edu or call (734) 615-3960. Contact the U-M Vector Core Laboratory (734) 647-1351 for details.